66526 Driver Steve Dunn (George) 4M99 17:00 Maritime - Trafford Park, Eastleigh 31st May. Although I have seen before at Maritime, in April 2006, this locomotive generally has eluded me, probably while working on coal traffic. 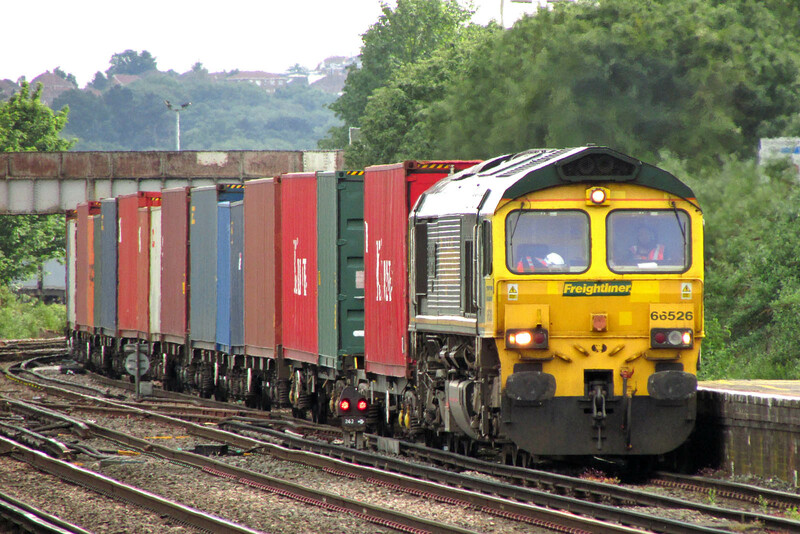 66951 4O57 13:29 Wentloog - Southampton. Eastleigh, 31st May. 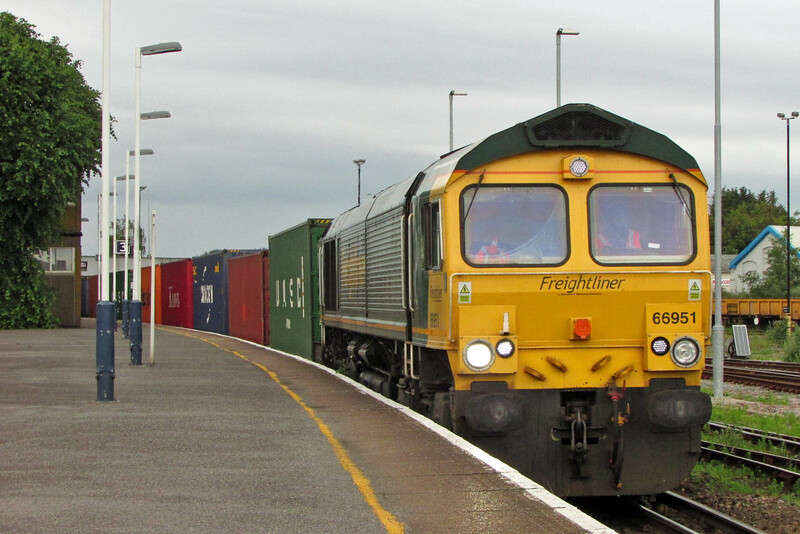 This was the first Class 66/9 with lower emissions. 57003 at Eastleigh Works has been reinstated to pool XHCK (DRS Class 57). It may have been inside the works about a month ago, but as of Thursday 31st it was outside in the usual area, parked with 57011. Arrival at Eastleigh on 13th September 2017, and was stored shortly afterwards. 70006 has been stored at Leeds, leaving only 8 Freightliner class members in traffic, many working to and from Maritime each week. I first noted this loco on Shap in July 2011, then most recently at St Denys two weeks ago. The Salisbury - Weymouth - Wareham - Corfe Castle summer Saturday service.